The tranquil oasis of Malleny Garden lies only a few miles from the edge of Edinburgh, but feels as if it is in a different world. It is found in Balerno, on the A70, three miles south west of the Edinburgh bypass. 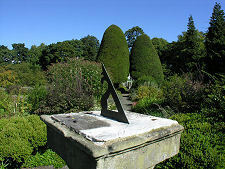 The garden is well signposted once you reach Balerno. Malleny House itself is NOT open to the public, but its presence provides an excellent backdrop to the three acre walled garden which is maintained by the National Trust for Scotland. Garden opening times and admission prices can be found via the links on the right. 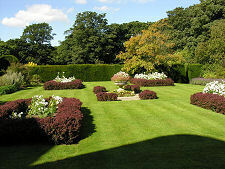 The house and garden are separated from the centre of Balerno by a stream that helps preserve its distinct identity. Access is via a drive that leads round past the rugby club and eventually brings you to a parking area amid woodland. From here you walk to the unassuming wooden door in the wall of the garden. 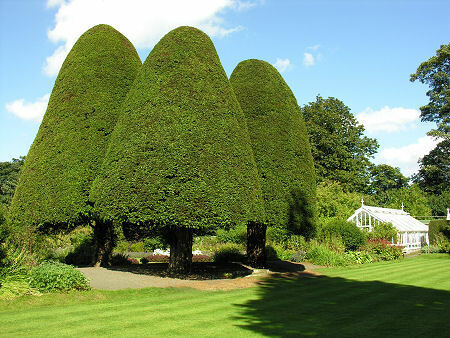 The centre of the garden is dominated by the Four Apostles, four beautifully manicured yew trees. They are four hundred years old, and the last survivors of what were originally known as the Twelve Apostles. 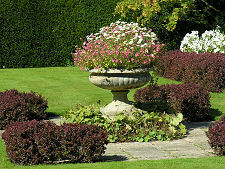 Elsewhere there are excellent herbaceous borders; a significant collection of old roses; and vegetable and herb areas. 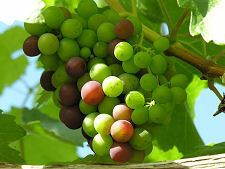 The garden comes complete with with a pair of Victorian greenhouses in which vines are cultivated: providing a superb display of grapes if you catch them at the right time of year. 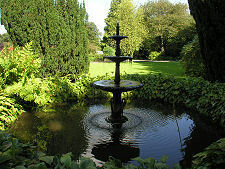 There are plenty of secluded seating spots to help you enjoy the peace of Malleny Garden. Near the house you'll also find a doocot (dovecote) with 915 nesting holes and an unusual saddle-backed roof. 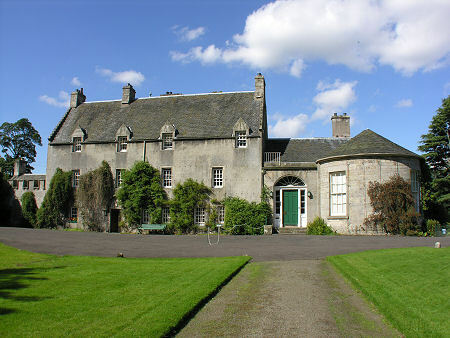 Malleny House was built in 1637 by Sir James Murray of Kilbaberton, though additions were made in 1813. 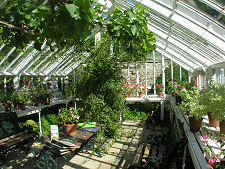 The house and garden were presented to the NTS with an endowment by the late Mrs Gore-Browne Henderson in 1968.